The city festival Tallinn Music Week (TMW) introduces a diverse set of acts by contemporary classical music composers and interpreters from 28th March to 3rd April in Kultuurikatel (Tallinn Creative Hub), the St Nicholas’ Church and Rotermann Salt Storage. At special edition concerts curated by Festival Glasperlenspiel, one can enjoy musical works from Renaissance to modern age, and from adventurous genre-defying pieces to Estonian music composition premiers. One of the highlights of this year’s TMW will take place on 31st March in the black box of Kultuurikatel, where the British cross-over composer, radical innovator Gabriel Prokofiev’s “Concerto for Turntables and Orchestra” will be performed by chamber orchestra Glasperlenspiel Sinfonietta and British world champion turntablist DJ Mr Switch. At the same concert, Norwegian violinist Mari Samuelsen and cellist Håkon Samuelsen will perform Peeter Vähi’s piece “Reminiscences of Youth“. Kristjan Järvi will conduct the concert. 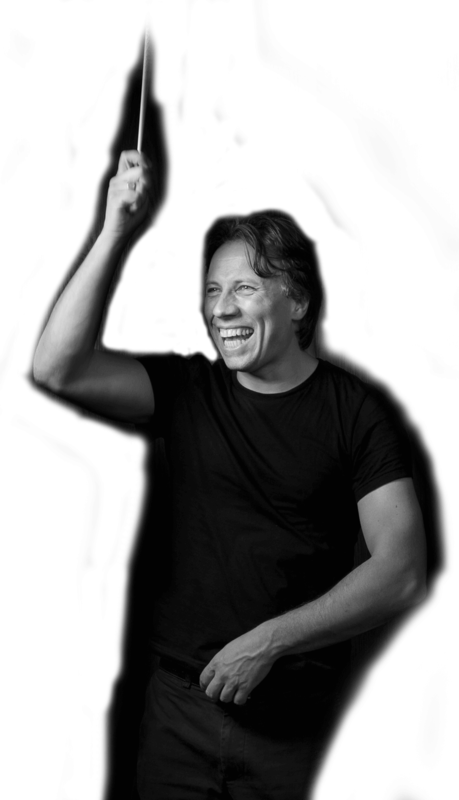 Known for his genre-defying projects, Kristjan Järvi is the principal conductor of Leipzig Radio Symphony Orchestra, as well as the founder and artistic director of New York classic hip-hop-jazz group Absolute Ensemble, and the concerts he has curated and conducted are often described as life changing experiences. Mr DJ Switch, real name Anthony Culverwell, owes his reputation to his virtuosity, perfect party pitch and ability to create mash-up sets that can break every musical barrier. The achievements of the British DJ battles’ veteran are crowned by first place in the 2014 DMC World Championships. Bright and talented members of Glasperlenspiel Sinfonietta have a strong common belief that music created centuries ago is lively and joyful even today, and moreover, the Norwegian violin-cello duo Mari & Håkon Samuelsen are involved in a project Yellow Lounge that brings high-brow classical music successfully on sweaty dance clubs. On Friday, 1st April, as part of the St. Nicholas Church concert the programme will please the festival audience with the following artists: one of the Estonian top choirs Collegium Musicale; soprano lute and mandolin virtuoso Alina Sakalouskaya and organist Kadri Ploompuu; and chamber music ensemble Järvi Instrumentalists that is made up of the younger generations of Järvi family. Chamber choir Collegium Musicale, for whom the piece was originally written, takes the stage with the world premiere of composer Mirjam Tally’s new piece “Sinu vari/Your Shadow”. Gentle but majestic duo of soprano lute and mandolin virtuoso Alina Sakalouskaya, laureate of international music competitions, together with Tallinn Episcopal Cathedral’s organist and musical director Kadri Ploompuu, will perform Antonio Vivaldi, Tomaso Albinioni and other baroque music composers’ pieces. Members of the world famous Järvi dynasty gathered under the vigorous ensemble Järvi Instrumentalists will present to the audience Arvo Pärt’s “Da Pacem Domine“ and Sergei Rachmaninoff’s monumental piece “Trio élégiaque No. 1 “, amongst others. On Saturday, 2nd April, contemporary classical music programme continues at Rotermann Salt Storage, where the opportunities as well as attitudes of new millennium are fearlessly imposed by electric E-Orchestra that demonstrates that orchestra and classical symphony are not synonyms anymore, combining the works of Mozart, Borodin, Jaan Rääts, Kraftwerk as well as Apollo Four Forty, with the help of DJ Widenski. In addition of E-Orchestra, one can enjoy Science of Silence show that unites classical music composition, ambient sounds and pop vocal; and Avarus Ensemble – a passionate musical group enriched with dynamic rhythmic patterns. TMW festival pass is available at TMW website for €50 until 21st March. The pass grants access to all clubs and venues and special offers within other festival programmes. TMW delegates pass grants access to the music industry conference on 1st and 2nd April is available at TMW website for €225 until 21nd March.